by gillian claire: portrait of my boys: Belly Sketcher. 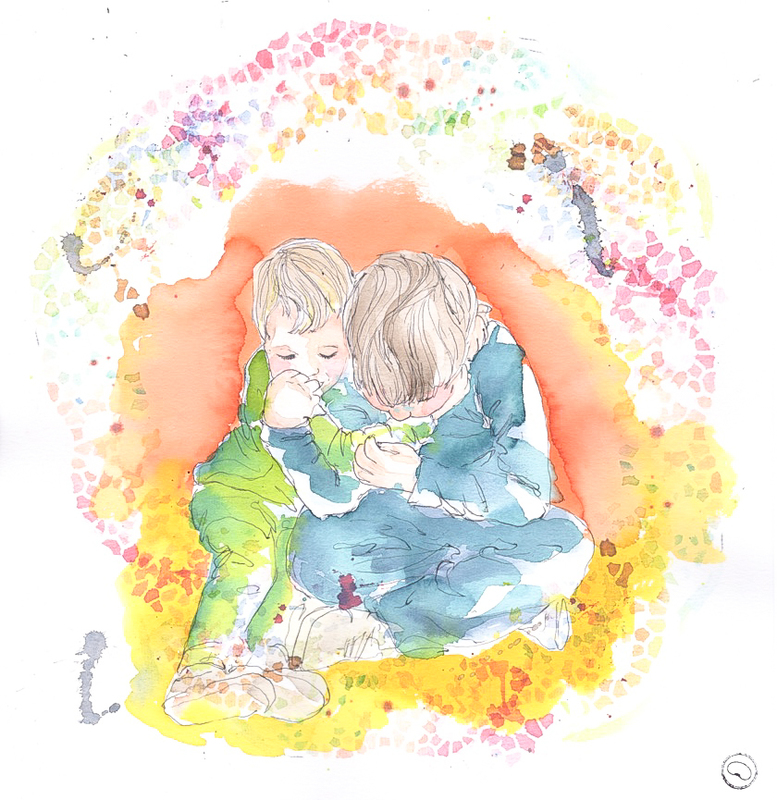 I was so honored when Ines from Belly Sketcher contacted me and offered to paint a portrait of my boys! I am so in love with her colorful and whimsical style. Ines is a former architect who has turned her focus to her true passion: painting. She paints expecting mothers, families and children and is located in Portugal but is working on expanding her business abroad! To have a painting of my little boys at this stage of our lives is a gift that I will absolutely treasure forever. I'm amazed at how well she captured my babies; Asher's crazy cowlick in the front and Roman's little round cheeks. This painting feels like a window into my heart, two little boys surrounded by lovely, swirly colors, sharing love with each other and with me everyday. I am currently hosting a giveaway on my Instagram featuring some of my favorite companies that I've had the chance to work with through blogging and Ines has generously offered to giveaway a custom watercolor portrait to the winner! Be sure to check out the giveaway: here for a chance to win a treasure like this for yourself! It was with my heart opened that I've painted your boys. I'm very happy you enjoy it. You words meant a lot to me. I will do my very best to continue capturing maternity and it's love and translate it in colours language. That is absolutely stunning! What an absolutely precious gift.